Imagine you are sunbathing on the breathtaking beach of Da Nang under full of sunlight and think about your next places in your vacation. Hoi An should be ranked first on the top of your potential list. Hoi An is a coastal town of Quang Nam, a province located in the Centre of Vietnam. Lying on the north bank near the mouth of the Thu Bon River, the small ward is early developed in economy during the 15th to 19th century. To the East of Hoi An is Cu Lao Cham archipelago, which comprises of bow-shaped range of small pearly islands like a screen for the town. Cu Lao Cham is recognized as World Biosphere Reserve by UNESCO that can be your next place after Hoi An. The trading town started to be active under the late of Le Dynasty. However, according to archaeological finds, there was a port and trading center of the local Sa Huynh people along the Thu Bon River in the early 2nd century BC. 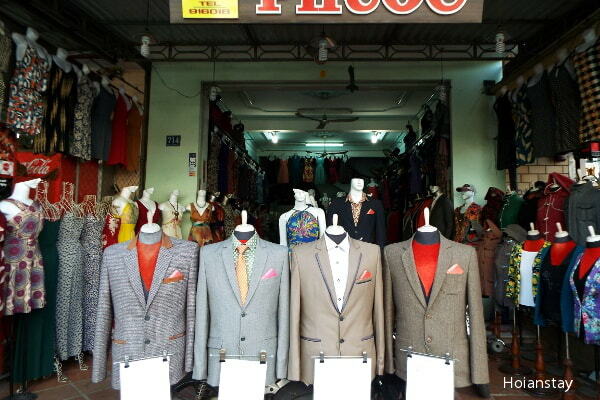 It was by the 15th century that the name Hoi An was well known in Vietnamese and Fayfo, Haifo, Kaifo.. in abroad. Hoi An became the most important port of the powerful Champa Kingdom. 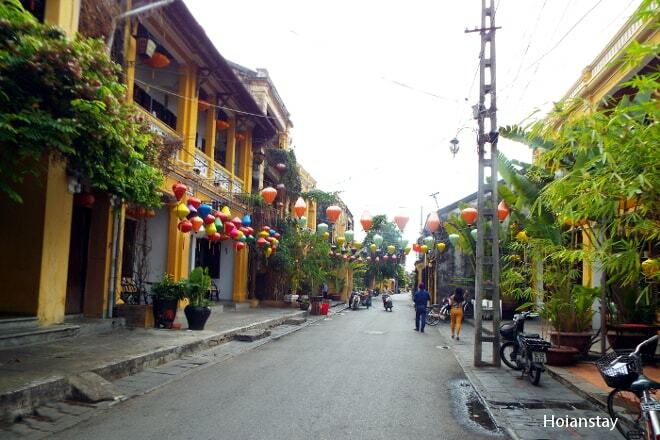 After Vietnam invaded and defeated Champa, Hoi An was owned by Vietnam and became the most important centers of mercantile, which attracted traders from not only Asia but also from Europe, especially during its most flourishing period of over 100 years till the early 18th century. It was not until the 19th century when the Nguyen dynasty operated a “closed trade policy” that led to the final eclipse of Hoi An. 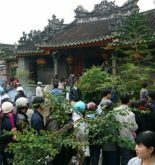 In general, the history of development of Hoi An is the essential reason for the diversity of culture shown in the small town. Traveling to Vietnam, you have no difficulties to book a flight to Da Nang. After enjoying one of the best beautiful beach in the world, let start to come to Hoi An. From Da Nang to Hoi An, you can take on of two ways to the next departure. 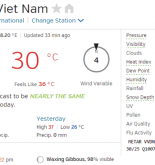 Along to Highway 1 to the south about 27 km to Vinh Dien Road, then turn left and go about more 10 kilometer. The other way is from the center of Da Nang, across Han River Bridge, then go straight about 30km to reach Hoi An. 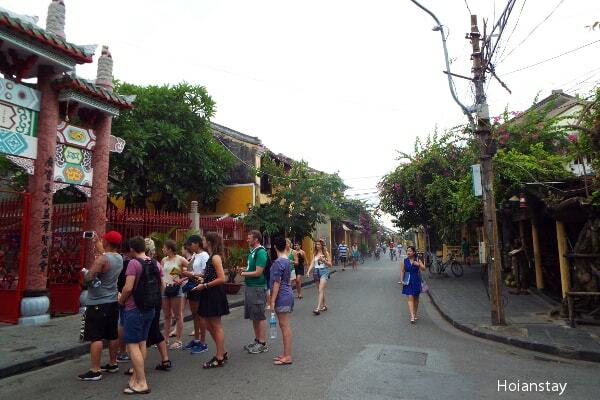 Walking along the streets is the most popular activity of tourists. If you doubt about the World Heritage Site, you must go and see by yourself. 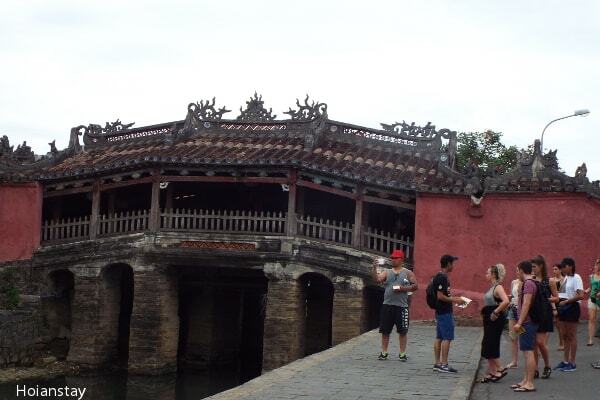 Hoi An is an exceptionally well-preserved example of South East Asian trading port. The small town comprised over one thousand timer frame buildings, with brick or wooden wall. The terraced houses are tiled and wooden components are carved with traditional motifs, where tourists will be warmly welcomed by friendly Hoi An people. Along to the original street plan which still remains, the town included a grid of buildings with the back open to the river, for easily loading and reloading goods from trading ships, and the front side open to the streets for convenient customer access. 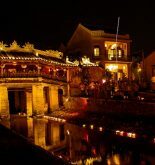 A lot of travelers coming to Hoi An fall in love with the beauty of ancient structure of the town, the peacefulness of a city on the bank of river. It would be more gorgeous if you walk around the streets in the evening. Under the light of hundreds of lanterns, the city looks so colorful that you can’t help taking some photos of a picturesque town. Buying souvenirs is the next options for enjoying the atmosphere of an ancient trading port. It is different from busy markets that the houses are combined to be shops. Eating the special dishes in Hoi An is a must when coming there. You will be full of options to consider trying. 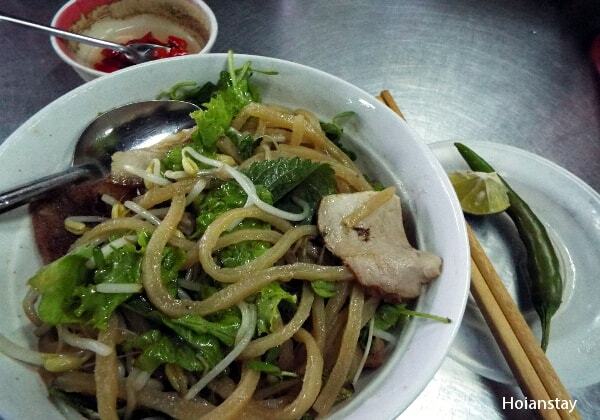 Cao Lau, Quang noodles, chicken rice, “Hoanh Thanh” … can call you an eager to taste. Though you are full, you will be attracted by the good smell from every food stall you step over. Hoi An will amaze you by a huge of variety of food from local to western cuisines at the most of the up-market restaurants, which can satisfy all the tourists from many countries. After eating, drinking in Hoi An is also a concern. Though the town is ancient, it is not difficult to find a bar, which is evidence of the Western Culture in the small town. Beside the luxury bar, tourists can ease their thirst in any drinking stall or even on plastic stool. Hoi An overview: Enjoy a life, enjoy a difference, Hoi An is your destination. Without busy streets, exhausted atmosphere and rush hour, Hoi An is really a perfect place for you to slow down and relax in every minute.